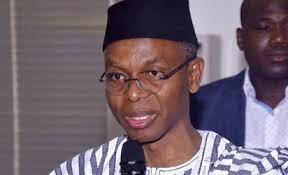 The Kaduna State Government has remained resolute with its decision to lay off over 21,000 primary school teachers. This follows the ‘Primary Four Test’ which was administered by the State Universal Basic Education Board (SUBEB) in June to assess their quality in terms of service delivery. According to the state government, out of the 33,000 teachers that sat for the exam, 21,780 failed to score the 75% agreed benchmark while only 11,000 got 75% and above, a situation which has raised a lot of dust between the teachers and the government. » Solidstar Rants About His Headies 2016 Nomination: " They Brought Together Some Bunch Of Unqualified Music Critics"